Being a mum to four children, I find myself constantly on the go, every time I get near to plonking my bum on the sofa, one child calls out for something, it is a sixth sense children seem to have!! 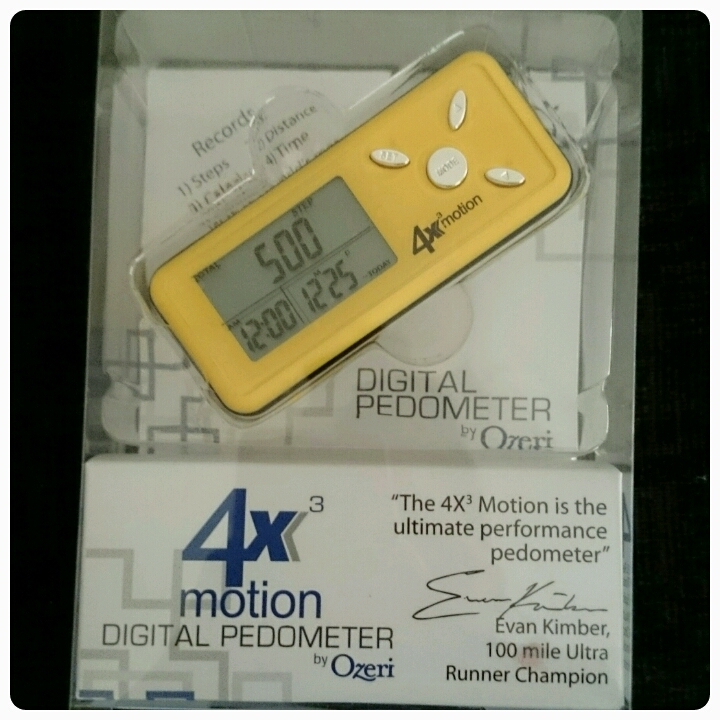 I was recently asked to review the Tri Axis (3D motion) Pedometer from Ozeri and I thought it would be interesting to find out exactly how many steps I take in a day. 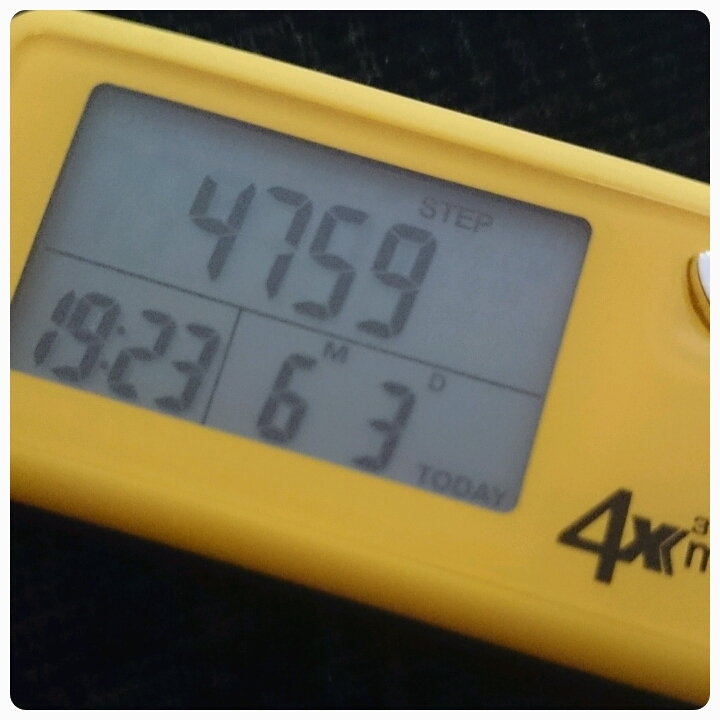 I received the pedometer in yellow but it is also available in black. It comes complete with instructions, a screwdriver for when you need to change the lithium battery and a lanyard to allow you to wear it around your next if you want to. It is a decent size, it fits easily in the palm of my hand, I would compare it to a small MP3 player. It is compact, lightweight and looks good too, sleek and sophisticated. I found it fit in my back pocket perfectly and after a few minutes of walking around with it there, I forgot that it was even in my pocket. 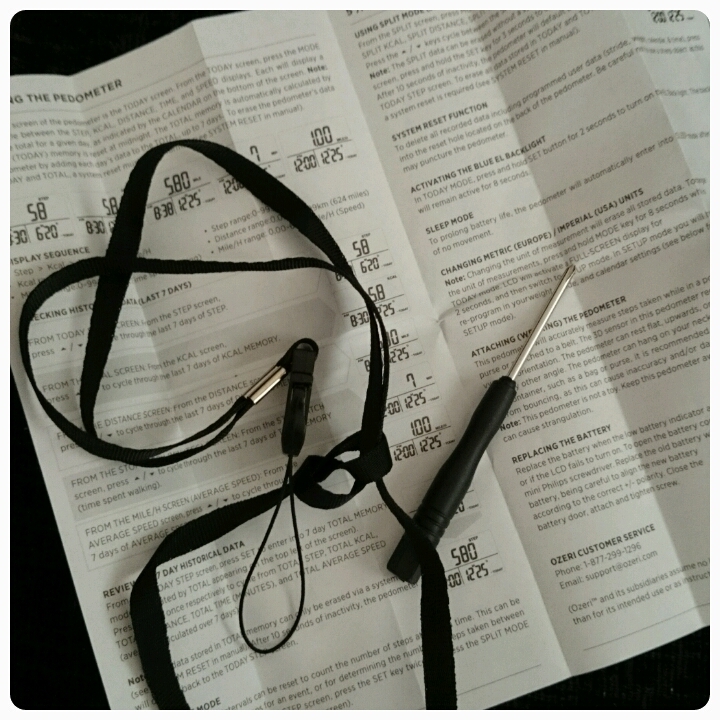 I preferred having it in my pocket but the lanyard provided means that you can wear it around your next and the lanyard can even be unclipped, allowing you to clip the pedometer to your belt instead, versatile. Setting it up was simple. First you have to work out your walking stride (explained in the instructions) and then you programme the pedometer with your weight, stride, the date and time. You can even choose different units of measurement from imperial to metric dependent on what you prefer. It has the ability to record your steps, distance, average speed, calories burned and even the time you spend exercising. The bright LCD screen makes it easy to view the data recorded and because it stores your results for the past 7 days, it is simple to compare how you have done over the course of a week, allowing you to be able to set yourself goals and targets. I found this really motivating. The great thing about this pedometer is that it uses Tri-Axis technology to allow you to use the pedometer in any postion you want, whether that be vertiacal or horizontal. This makes it a lot more accurate than a lot of the pedometers available on the market. When not in use the pedometer will automatically switch itself off after 30 seconds of inactivity, this saves battery life. Priced at £15.95 over on amazon, I think this would be the perfect gadget for anyone who is into there fitness or for someone who is looking to start getting in shape. It is a brilliant little device to give you that much needed nudge to get moving more!! Disclaimer : I was sent this pedometer free of charge for reviewing purposes however all thoughts and opinions are my own.